April is the new March. Or rather it would be, if the ski lifts stayed open for another week. 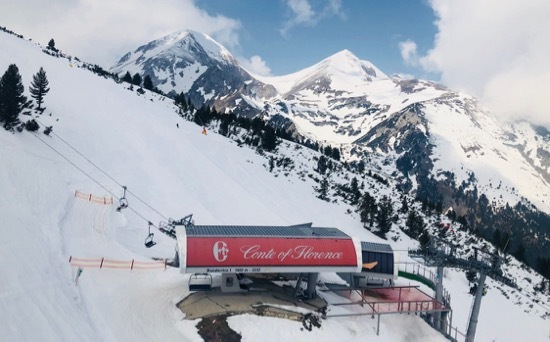 With more snow expected next week, there will be a few frustrated Bansko visitors who were hoping the season would be extended — just like it has been in other years. 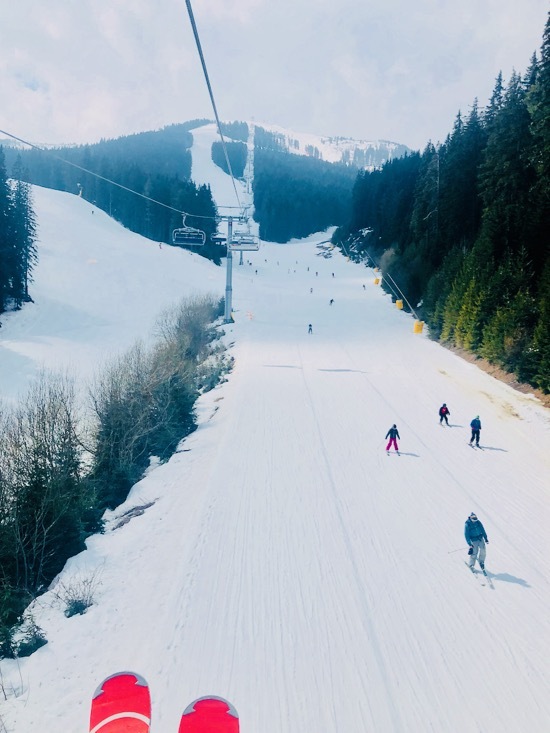 The last day of the Bansko ski season is Sunday 7th April 2019. Those that are here should click here to choose from a range of activities and excursions you can book from today right the way through the whole of 2019. Indeed, if you’re not skiing or snowboarding, it’s super fun discovering the real Bulgaria. Or indeed 4×4 Safari. 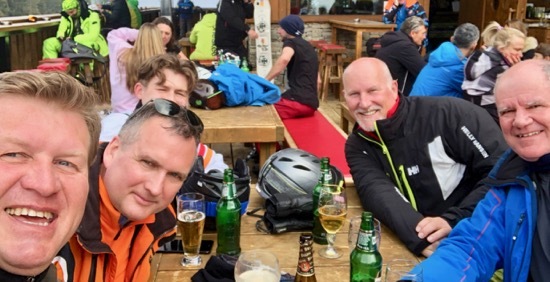 Lets hope the ski season will be longer next year to cover UK school holidays, University holidays and all folks who realise that two or three shorter trips are better than one. Spring ski conditions were, one again, superb yesterday with a little fresh powder higher up. With more could cover the snow remains great until 3pm. I can sometimes get away from the computer these days and engage in some social skiing — meeting up with friends on the mountain, followed by a long lunch at 180. 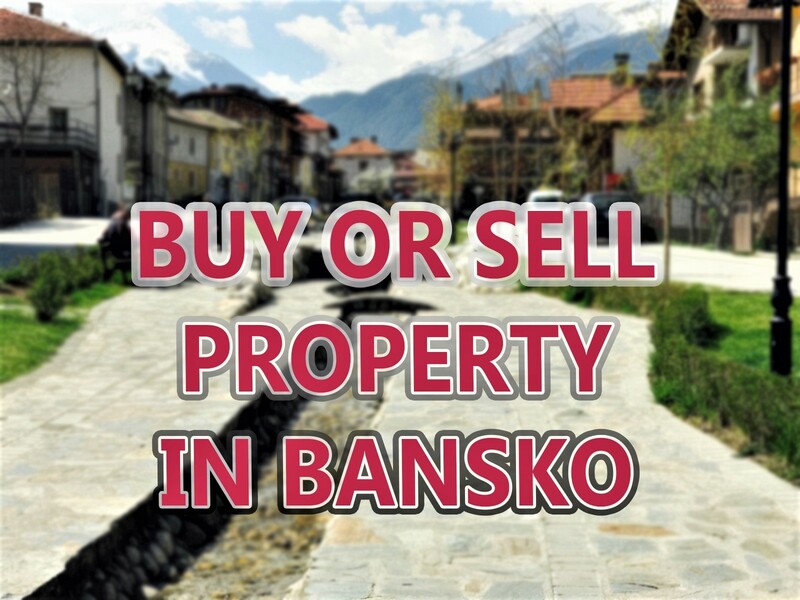 It is sometimes hard to imagine the hours that go into banskoblog/the Bansko App, the content and the client support. A relentless work schedule that starts early November and only pulls back at the end of March. Your support for the blog has been terrific this season. But if you have not left a app review or on subscribed to the YouTube channel, then now is the time to do so. 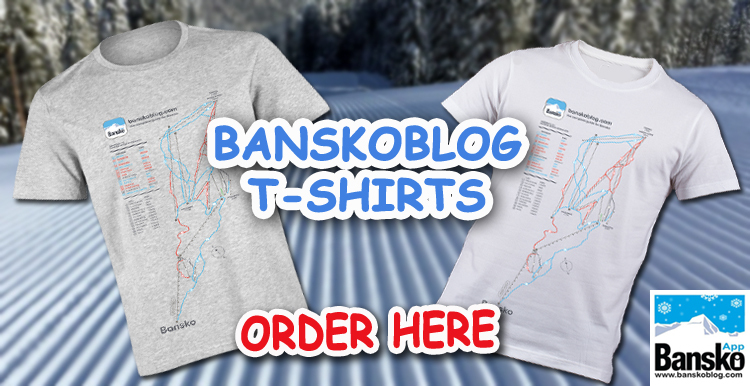 And to celebrate your season why not buy a T shirt here (€17.90 with free delivery). You will see the piste map printed on the front and will bring back memories. 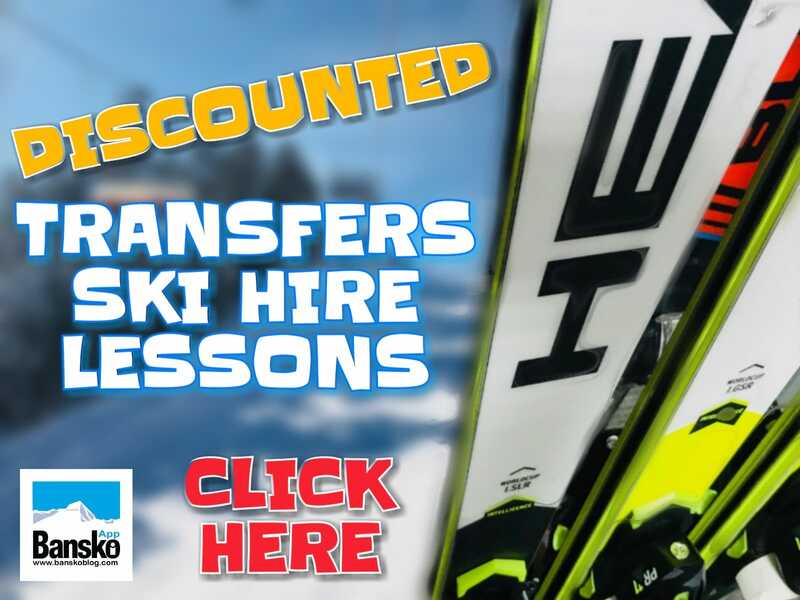 Now is the best time to book for next ski season with low cost flights it’s easy to book your trip, go to AirBnB and then book your transfer and ski hire here or in the App. Subscribe to my newsletter for tdeals, info, news and reviews. Our legendary private transfer service starts at just €56 one way for two persons. No absolutely no extras. 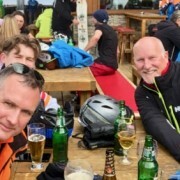 As we enter the 11th year of bansko blog I’m dedicated to continuing to improve all the services.